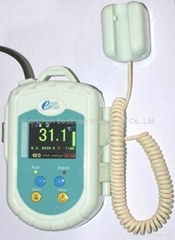 Shenzhen Bestman Instrument Co. Ltd. is a professional medical equipment manufacturer, located in the Shenzhen City, P.R. China. 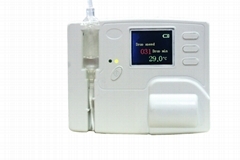 After many years’ development we have enjoyed high popularity in medical equipment profession. We continuously concentrate on the development and production of gynaecologic diagnose apparatus. We have 7 series products: BF series Fetal Doppler; BFM series Fetal Monitor; BPM series Monitor Multi-parameter; BV series Vascular Doppler; BD series Syringe Destroyer; ECG series Electrocardiography machines and BEU series Ultrasound Device. BF-500/500+/500++/500A/500B/500C/600/600+/610/610P/510/510S/500D/500D+ series Fetal Doppler have more than then models, which can be used at home, clinic or hospital for detecting the Fetal Heart Rate (FHR). BFM-700/700+/700E/700E+/710/710Mseries Fetal/Maternal Monitor can be used at clinic or hospital to monitor FHR for single or twins and mother's Toco, NIBP, SpO2 and Maternal Heart Rate (MHR). 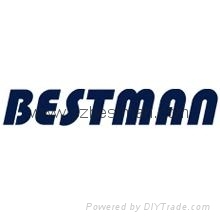 All Bestman's high-tech products are strictly manufactured. We own ISO9001:2000, EN ISO13485:2003 certificate and CE mark and act according to the principles of the perfect technology, products and services. Most of our products are exported to the Middle-East, Southeast Asia, Africa, Europe, America etc.. They keep popular with hospitals and clinics.